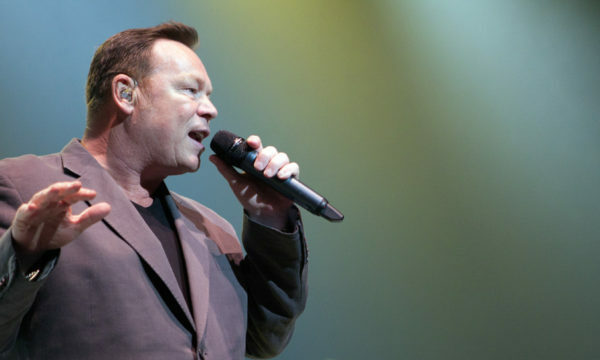 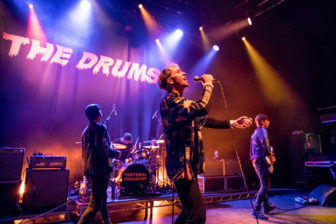 Some bands “lose it”; the freshness and inspiration for their music and lyrics very often fade after a couple of records. 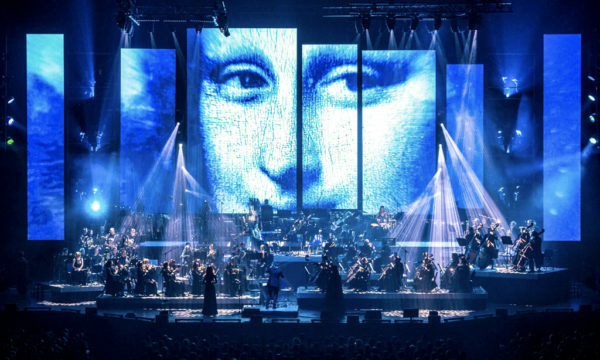 Sometimes, though, it evolves and gets even better (The Beatles aren’t a bad example). 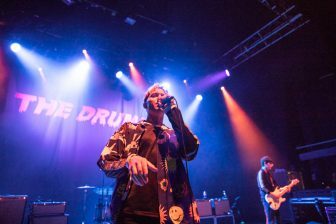 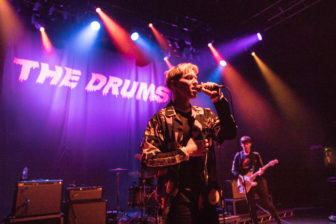 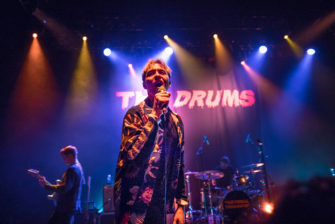 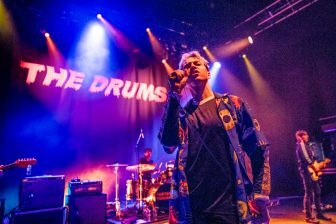 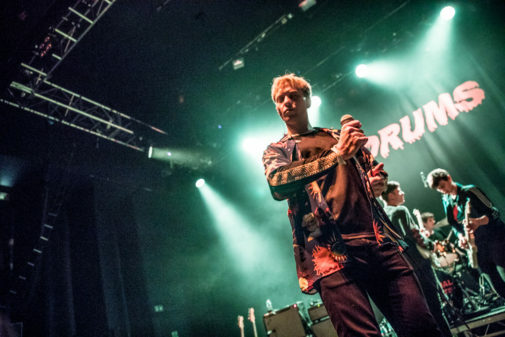 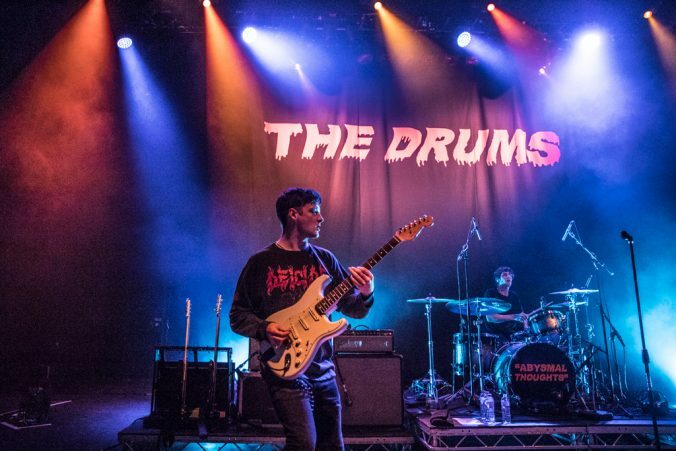 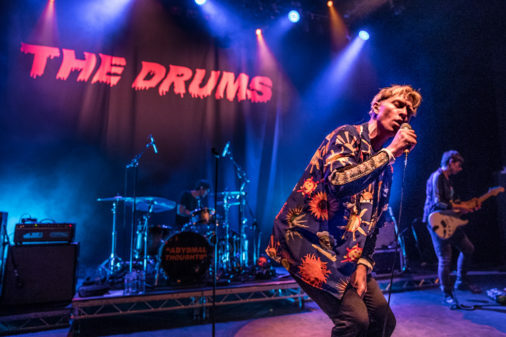 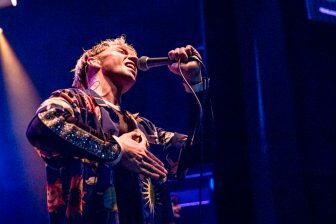 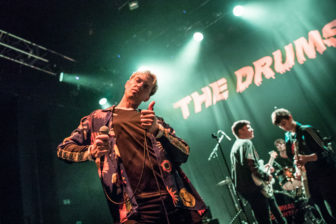 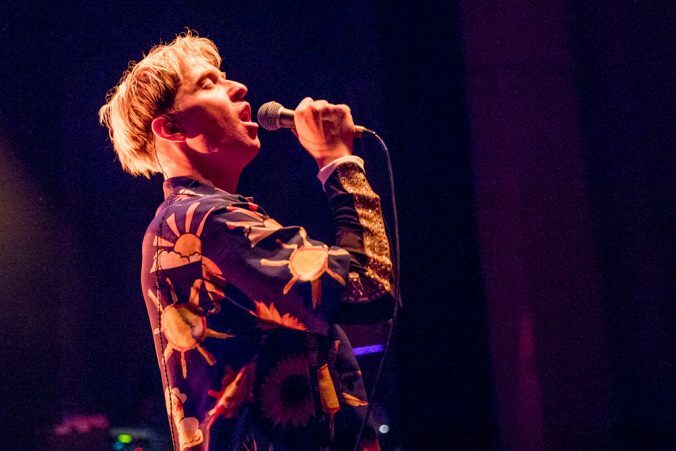 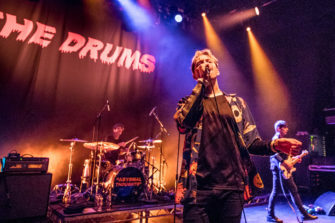 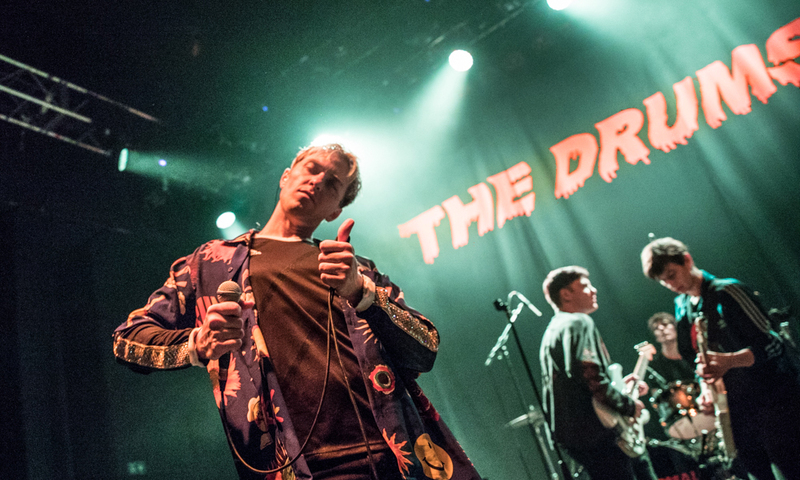 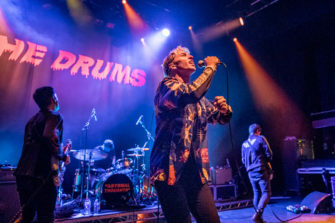 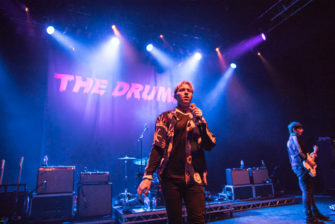 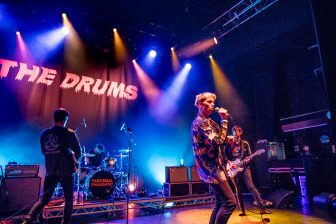 The Drums’ fourth album – Abysmal Thoughts, released last June – is a return to their earlier sound, driven by pop guitar riffs and drum-machine beats. 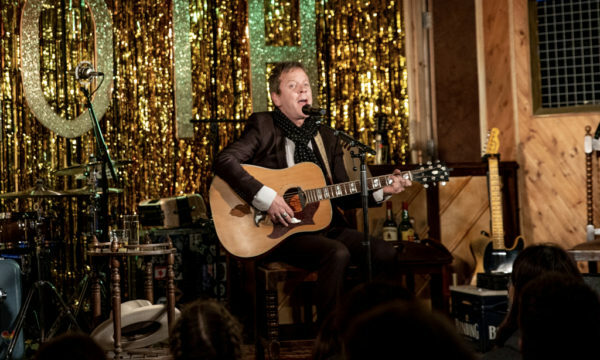 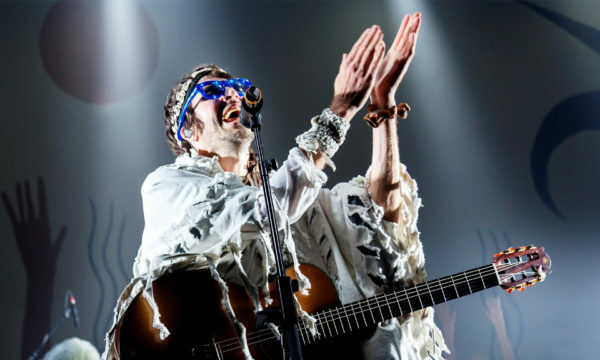 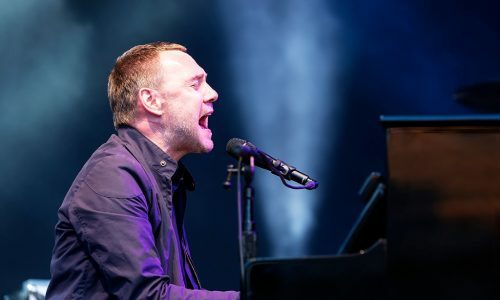 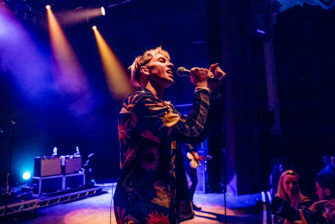 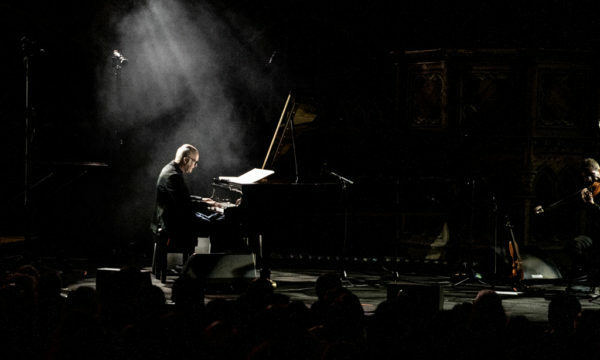 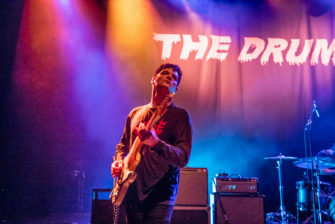 Last Saturday the New York band – now a one-man act, formed and fronted by Jonny Pierce and three touring members – came to the Shepherd’s Bush Empire to play a one-hour, 18-song set. 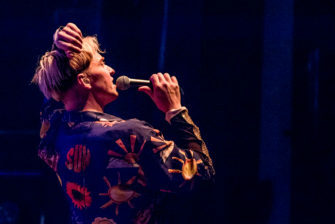 The show began with I Fight for Your Life and continued with one of their most popular pieces – the Smith-esque Best Friend – and a personal favourite of your reviewer, Book of Stories. 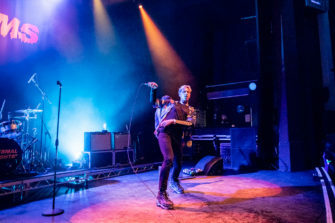 The setup – everything at the back – left plenty of space at the front for Pierce’s stage antics, the visual highlight of the performance. 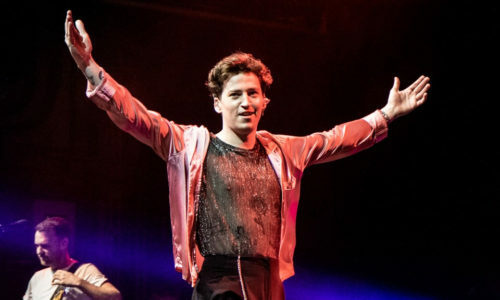 Watching him was a treat; he had a very personal choreography for each track, which was genuine and never self-absorbed. 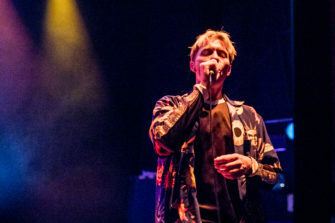 There were many classics during the first half of the concert, including Days, Let’s Go Surfing and Money. 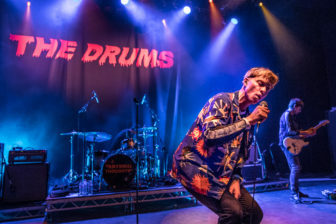 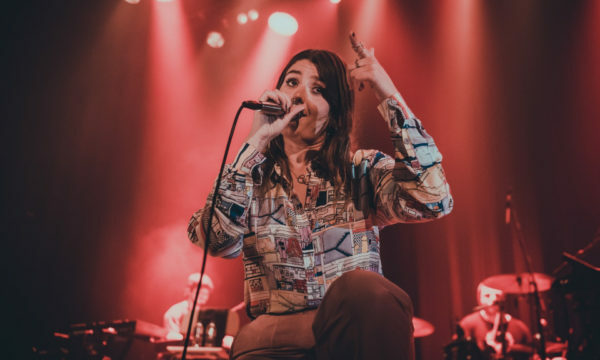 It ended with the fantastic Blood Under My Belt; the lead single of their latest album is the perfect summary of what makes The Drums so special: a harmonious contrast between lighthearted, playful music and deep, thoughtful lyrics contemplating love, life and death. 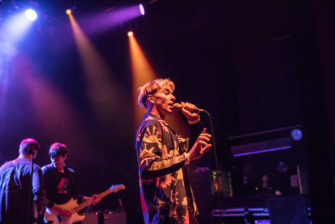 The second part of the show saw the even mix of classics and new pieces continue. 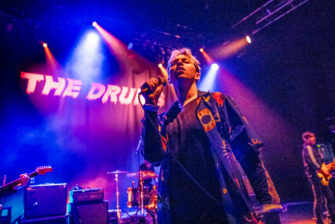 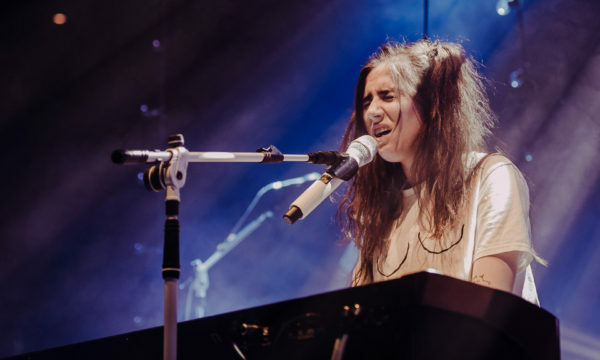 What You Were, The Future and Down by the Water clearly stood out but The Drums reached a peak with Mirror, one of the best and most meaningful songs to date. 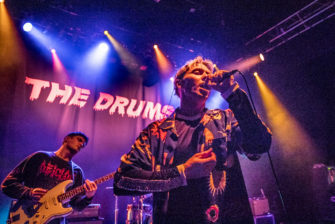 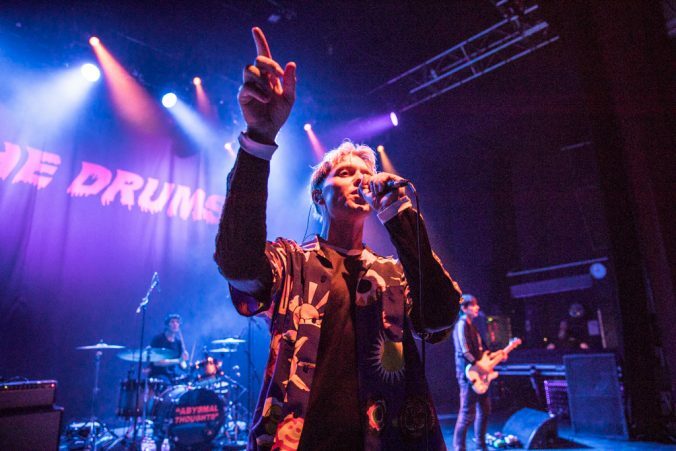 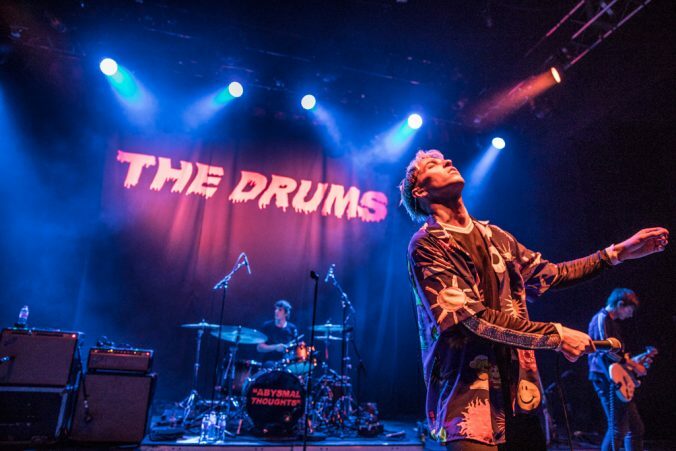 For further information and future events visit The Drums’ website here.